Heard about “pivot the video?” It was a candid belief that video marketing is the future. Many writers were sacrificed and replaced with video producers instead. However, this drastic change was brought about by some social networking sites who published soaring metrics about video content consumption. Thus, video content was strongly embedded in SMM marketing. But it was later discovered that all the promising statistics that the marketers deeply relied upon were false. This revelation was brought forth with Facebook’s beefed-up metrics about video content being extremely promising. Were you one of those marketers who blindly believed them and went ahead with replacing writers with video producers, but your world came crashing down? We feel you. With social media marketing services taking off their blindfold and mending the crisis, the ‘pivot the video’ satire was born. It is now being discovered that Facebook video ad’s deceit ran deeper than a social media agency could imagine. After a lot of speculation, two allegations were brought to light. One, that Facebook’s video ad metrics were beefed up by 150% to 900% and not by 80% as Facebook claimed two years ago. And second, that Facebook was very well aware of this for more than a year. They failed to act when they made the discovery and intentionally covered up during previous reviews. Nevertheless, Facebook cannot be entirely blamed; marketers, advertisers and publishers are also responsible for the large chunks of writers losing employment due to this blind-belief. This event is an eye-opener for every social media agency to think like a consumer before taking any decisions with digital content creation. Do not entirely depend upon statistics from other sources but conduct your own research and drive on your common sense. How often do you use Facebook, anyway? How often have you intentionally watched a Facebook video ad? You may start watching a video while you scroll through your friend’s newsfeed because it interests you. But do you sit through that ad that interrupts your video? It sure does irritate you when you want to consume one kind of content but you are bombarded by the one you do not intend to watch! The worst part is you cannot even skip that ad. Even if you do sit through the ad, are you in that frame of mind to receive the message from it? We don’t think so. This is exactly how consumers feel while they surf through Facebook. Millennials were the prime target for video marketing. However, that has been proved wrong. This lack of love for video has been in the air for a while now. 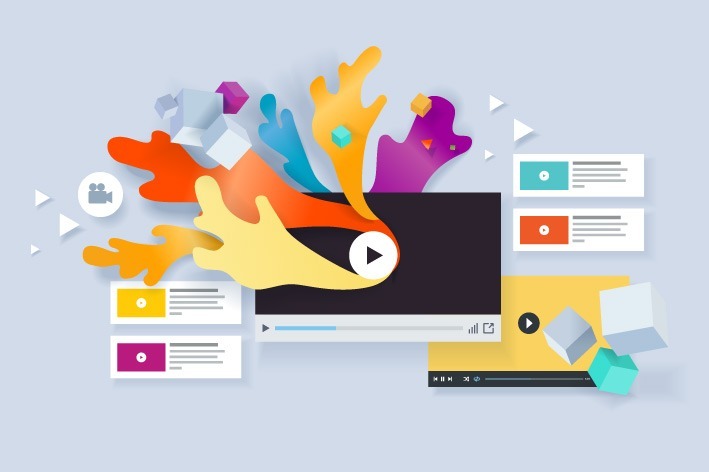 Recent research (reliable) has published that readers prefer text-based content on video and SMM marketing partner with publishers and need to produce content that their target audience essentially requires. In conclusion, it is important that marketers understand what regular consumers need, especially in their demographics. They need to avoid being gullible to fancy figures and metrics that are not tested before being tried and must rather study their segments’ needs.